DECATURVILLE The Tennessee Bureau of Investigation announced tonight that it has found the partial remains of missing nursing student Holly Bobo. The agency made the announcement at a 10 p.m. news conference at the Decatur County Sheriff's Department. The development in the case came when two Benton County men found a human skull Sunday morning in the woods along a logging road adjacent to County Corner Road in northern Decatur County. The men notified the Decatur County Sheriff's Department. who then contacted the TBI. Investigators sent the skull to the TBI forensics lab in Memphis. The lab determined today that the remains were Bobo's. Mark Gwyn, the Director of the Tennessee Bureau of Investigation, made the announcement Monday. He first offered his condolences to the Bobo family before confirming the remains were indeed those of their 20-year-old daughter. District Attorney General Mark Stowe said the family is expected to make a statement Wednesday. Decatur County Sheriff Keith Byrd said Monday a skull was found by two farmers who were searching for ginseng in a wooded area off County Corner Road in Holladay, Tennessee. The area where the skull was discovered was off a log road that has grown over, making it difficult access by car. “Of course with an ATV, you could,” the Sheriff added. God bless the Bobo family and may Holly be at peace. Justice is coming and anyone who took part in or did nothing to help this beautiful girl when she was in danger will serve consequences in this life and suffer greatly in the next. I have no doubt the DA is on fire to move forward with his case now. The canaries will be singing and I'm already saddened by what we are going to learn of what happened to dear Holly. Tennessee Bureau of Investigation Director Mark Gwyn told a news conference late Monday that Bobo's remains were found near her home in the town of Parsons, approximately 110 miles east of Memphis. 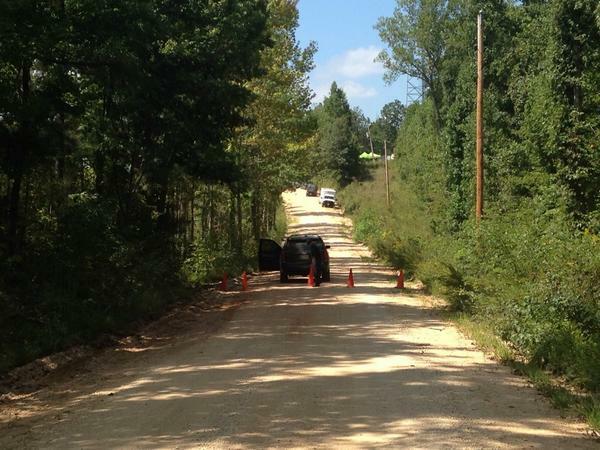 Two men discovered the skull Sunday, approximately 10 miles from property owned by the family of Zachary Adams, who has been charged in Bobo's kidnapping and murder. 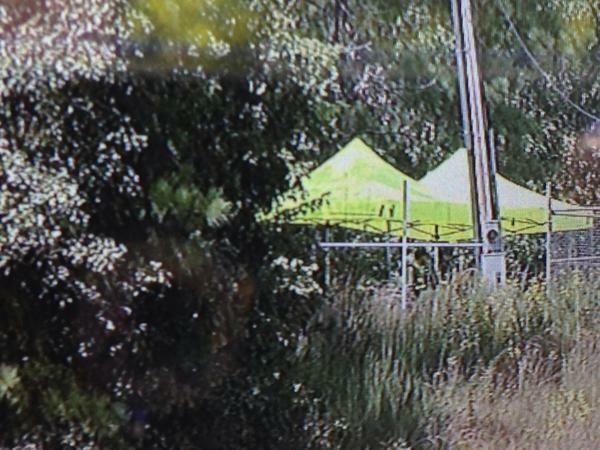 Authorities had previously searched the area this past March. Adams has pleaded not guilty, as has Jason Autry, who is also facing murder and kidnapping charges. So very sad, another promising young person's life taken by a bunch of dirtbags. Our hearts, prayers and condolences to the family, friends and loved one's of Holly Bobo. As for those responsible, fire up sparky, you will get you have coming to you. TBI Director Mark Gwyn and DA Matt Stowe tells the media that the human remains found Sunday in Decatur County is missing nursing student Holly Bobo's. Updated: Tuesday, September 9 2014, 08:27 AM CDT Stream WZTV Fox 17 Newscasts LIVE starting with Fox 17 This Morning at 4:30am, News at 5:30pm and News at 9pm & 10 pm. DECATUR COUNTY, Tenn-- Decatur County Sheriff Keith Byrd joined FOX 17 This Morning in the wake of last night's announcement by the TBI that remains found in the woods over the weekend belonged to missing nursing student Holly Bobo. As the investigation continues, Sheriff Byrd shed light on what's next for investigators and the family. Speaking with Bob Sellers, Sheriff Byrd stated TBI and University of Knoxville pathologists will be on the scene today as investigators search for the rest of Bobo's remains. He added he did have time to speak with the Bobo family and although they were apprehensive about the discovery of the remains and following confirmation it was their daughter, it does bring some closure. Sheriff Byrd said he will be meeting with the District Attorney today and "there are others involved aside from the two that are charged...we'll get them." The Bobo family is expected to speak or release a statement today around 12 or 1pm. So very sad for Holly's family, yet relieved for them as well, that now they may help her rest in peace. Praying for justice for Holly and her family. Tweet from Holly's cousin, Whitney. Rest in pease Holly. Prayers for the family. Press conference w/the #hollyBobo family will be between noon & 1 at the Sheriff's department. @JSunNews @megan_kristin & I will be there. Page created in 2.309 seconds with 21 queries.